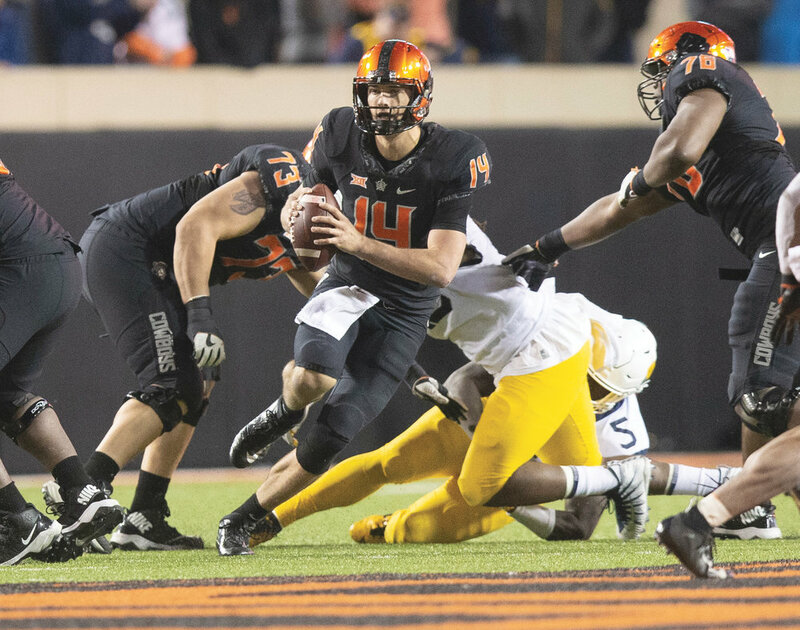 Oklahoma State QB Taylor Cornelius had a big day in leading his team to a 45-41 win over West Virginia. Cornelius accounted for 444 yards of offense (338 passing,106 rushing) and six touchdowns (including five passing and 1 rushing). The red-shirt senior from Bushland, Texas completed 30 of 46 passes helping the Cowboys improve to 6-5 (3-5 Big-12) . He is the seventh OSU player to receive the Walter Camp National P)layer of the Week Award since 2004. On the defensive side Notre Dames Alohi Gilman recorded eight tackles (4 solo) and had 2 interceptions in helping lead the Irish to a 36-3 win over Syracuse at Yankee Stadium. The junior safety from Laie, Hawaii led a Fighting Irish Defense that stymied a Syracuse offense that had been averaging over 482 yards and 44 points a game. Holding them to just 3 points and 234 yards of offense. Gilman is the ninth Notre Dame player to earn P.O.W. honors and the third this season joining defensive teammates Khalid Kareem (Sept. 2) and Jerry Tillery (Sept 30). The Irish (11-0) are ranked 3rd in the CFP ranking. They will take on USC this week at the Coliseum.